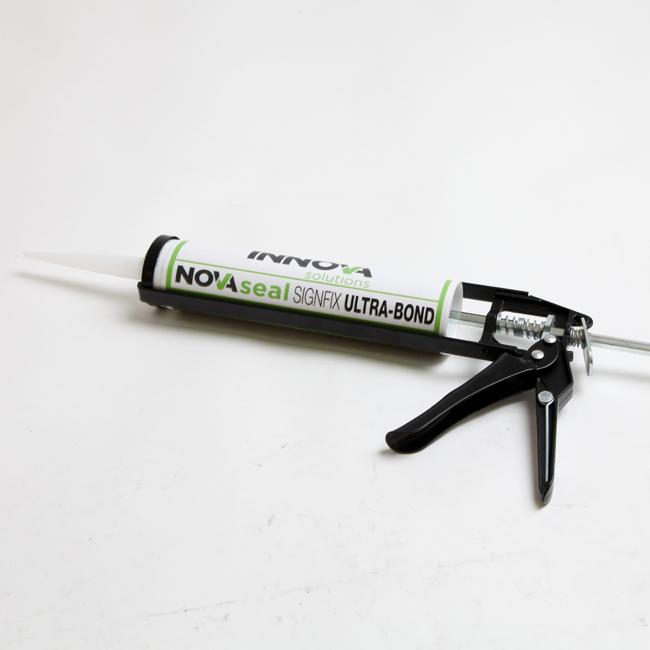 NovaSeal UltraBond is as clever as it is versatile being a corrosion and vibration resistant polymer adhesive available in black, white or clear. Why NovaSeal UltraBond polymer adhesive? The high initial tack, fast curing and high strength of NovaSeal UltraBond MS polymer adhesive makes it the use anywhere, for anything glue. Ensure the materials you are bonding are free from dirt and dust. 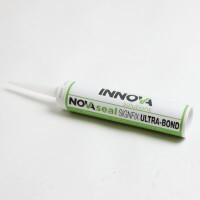 An effective bond requires a grease-free surface. We recommend cleaning with NovaBond Surface Cleaner. 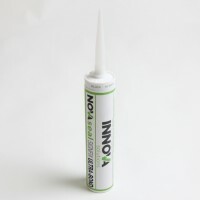 Apply NovaSeal UltraBond in vertical strips using the nozzle supplied. Join the parts to be bonded as quickly as possible (and within 15 minutes of adhesive application). Curing speed 2.5 to 3mm / 24hours @ 23°C and 50% R.H. Skin formation time 15 minutes at 23°C and 50% R.H.
Dry matter content 100% approx.